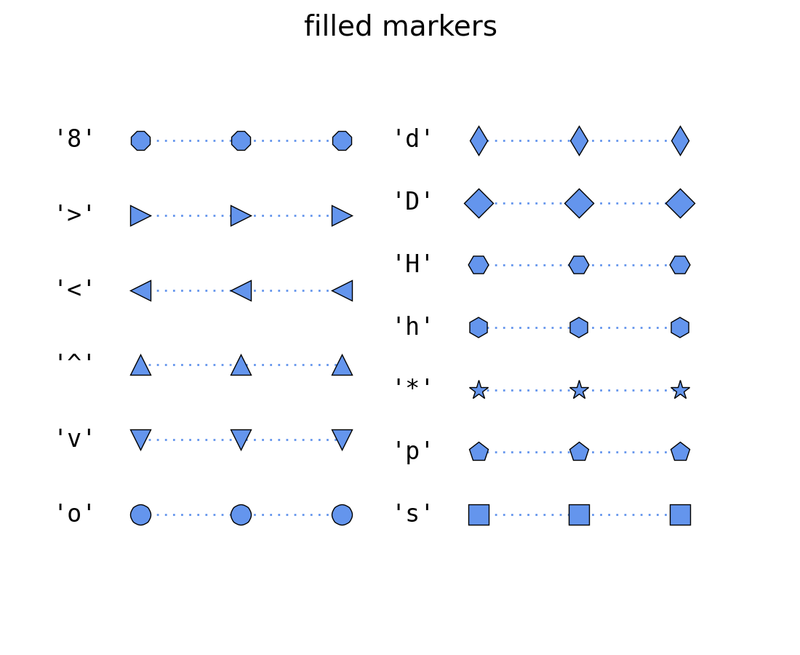 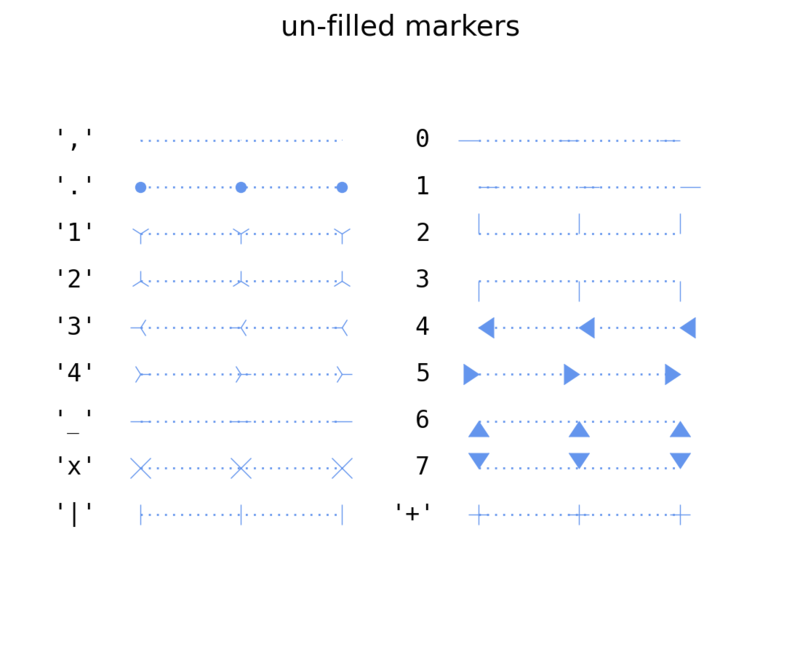 Reference for filled- and unfilled-marker types included with Matplotlib. 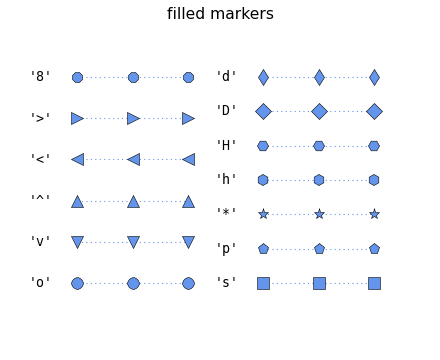 # Filter out filled markers and marker settings that do nothing. 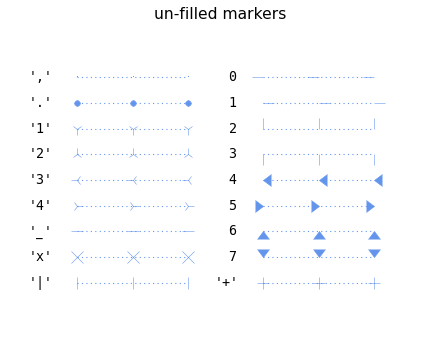 # Plot all filled markers.